With ones wedding being such a momentous occasion of one’s life, each and every bride wants to look flawless on her wedding day. While some brides prefer to get ready for the big day themselves, others like having a more professional touch. 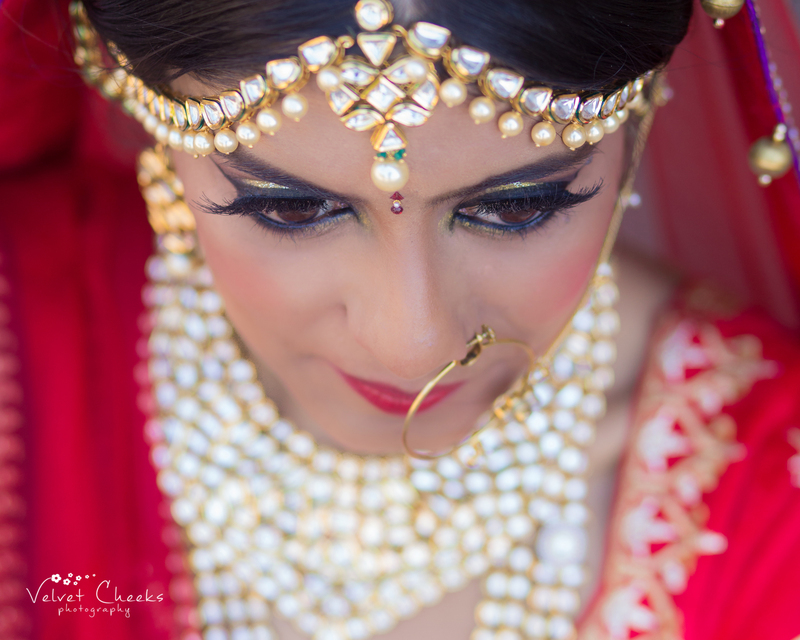 With Indian bridal makeup, it is important to find someone who understands your style and helps bring out a better you. In my opinion with an establishment such as Ms Painted Lady, getting ready for the big day has never been easier! 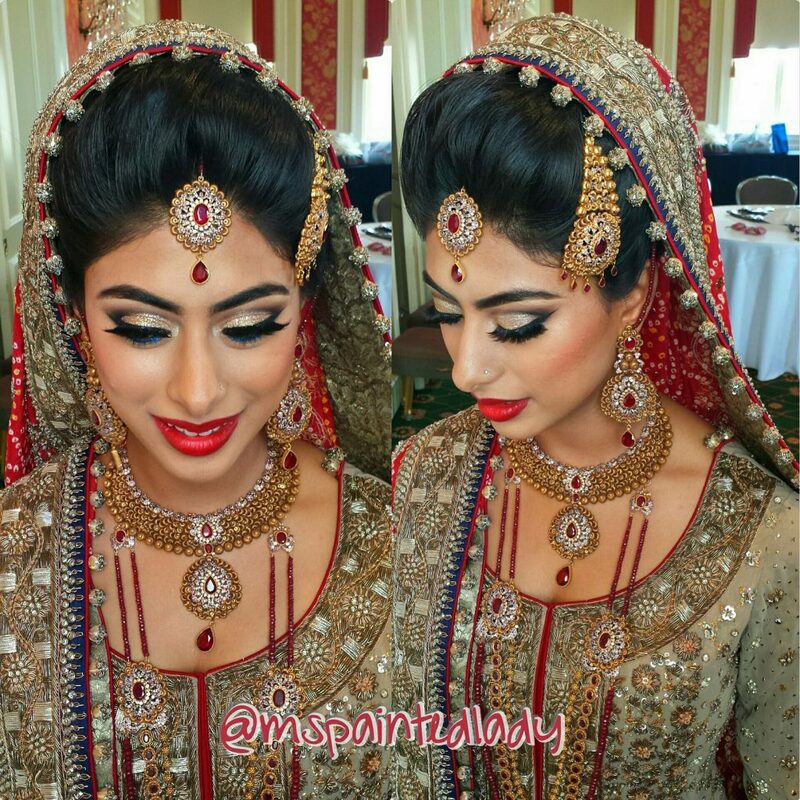 At Ms Painted Lady, the focus is not just on physical makeup but instead they try to give every bride the full experience. Rather than just fixing hairdos and applying makeup, the employees at Ms Painted Lady aim for compassion and share in the excitement of the glorious event. 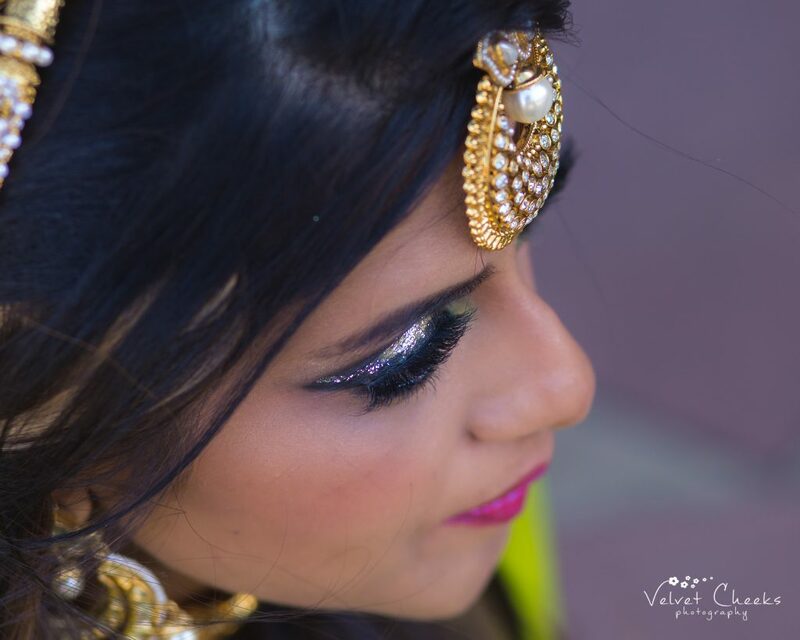 Equipped with excellent hair and makeup skills, Ms Painted Lady ensures that every bride looks beautiful and radiant and leaves their guests and future partner breathless. 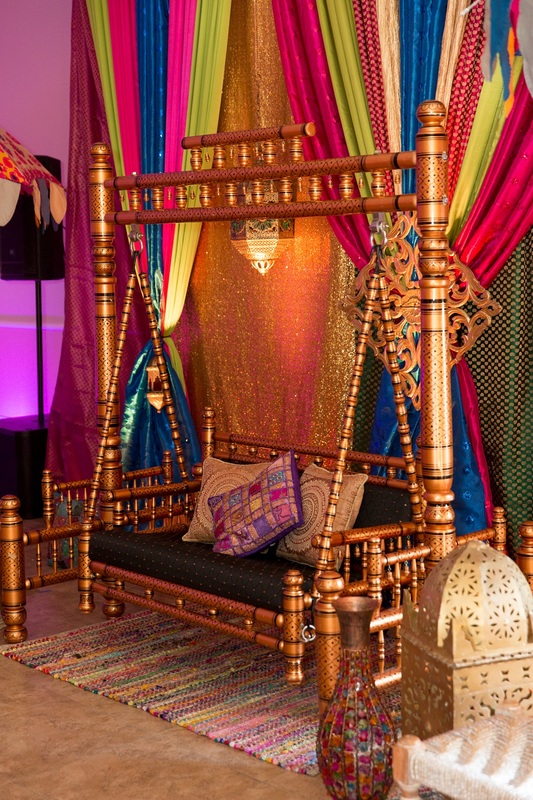 The artists at Ms Painted Lady also specialise in Desi weddings. 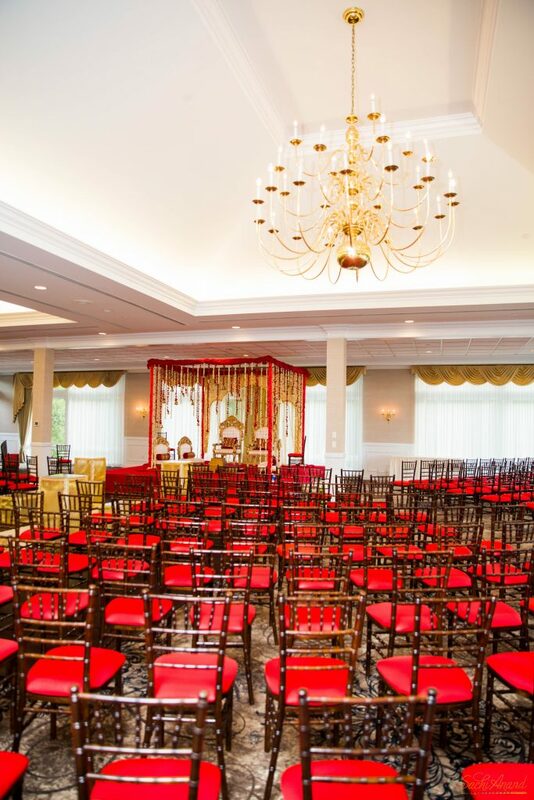 Other than being vibrant, stunning and lively, South Asian weddings can also be quite chaotic and the people at this company understand this fact. They know how to compensate for the chaos and are committed to their work to fulfil the bride’s beauty aspirations. 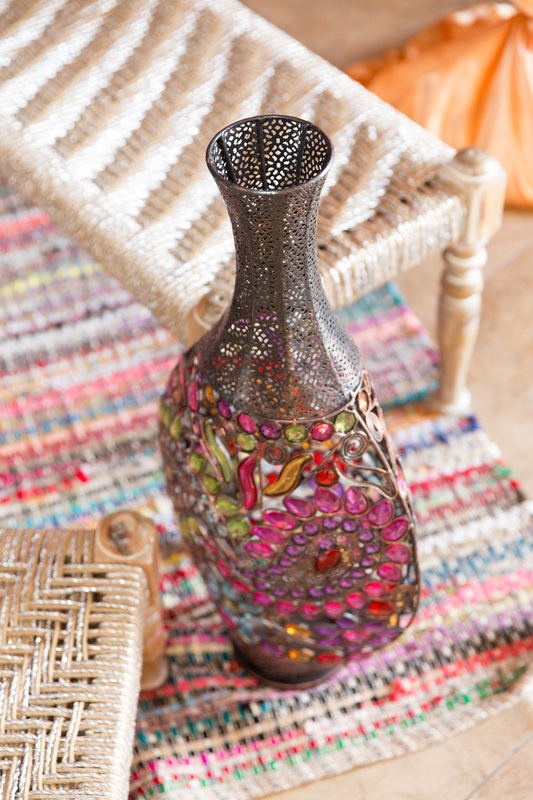 At Ms Painted Lady, the belief is that beauty comes from within. 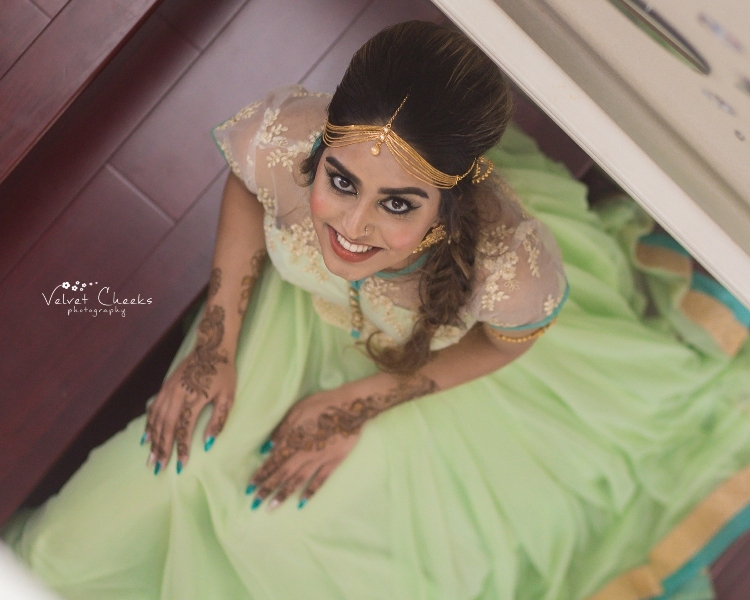 Therefore, the stylists focus on bringing out each brides inner beauty, creativity and boldness to the fore so as to paint the picture of an elegant and graceful bride that will be remembered for a lifetime. 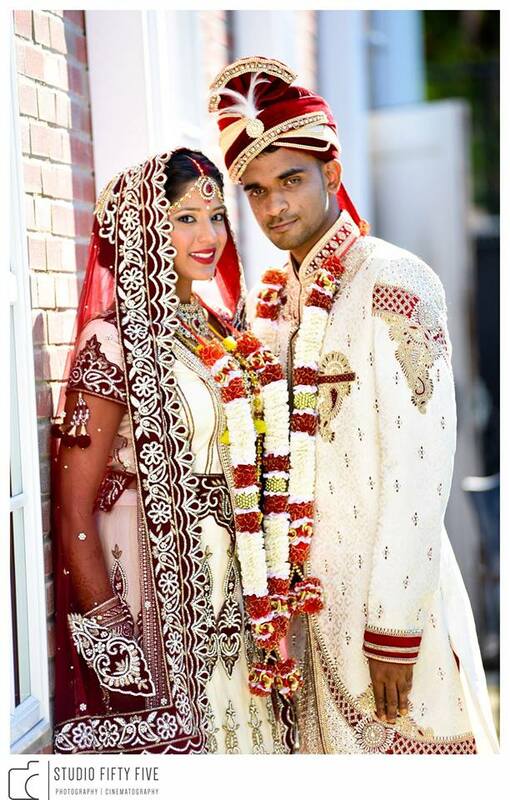 Asian weddings are the event of a lifetime and the one thing to make it timeless is the photographic memories of the beautiful occasion. A picture is worth a thousand words and wedding photographs certainly have a lot to say. Wedding photography has the power to offer beautiful walks down memory lane and relive the times gone past. It forms a cherished link between the bygone times and what lies ahead in the future. Keeping in mind the timelessness of wedding photographs, it is important to choose a wedding photographer that is compatible to your needs. 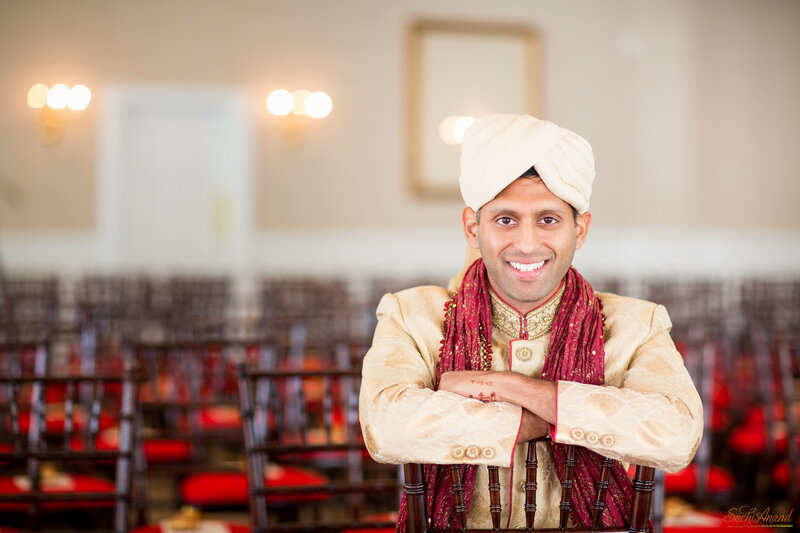 Especially in traditional South Asian weddings, where there are quite minute details and rituals to capture among the chaos of the ceremony. 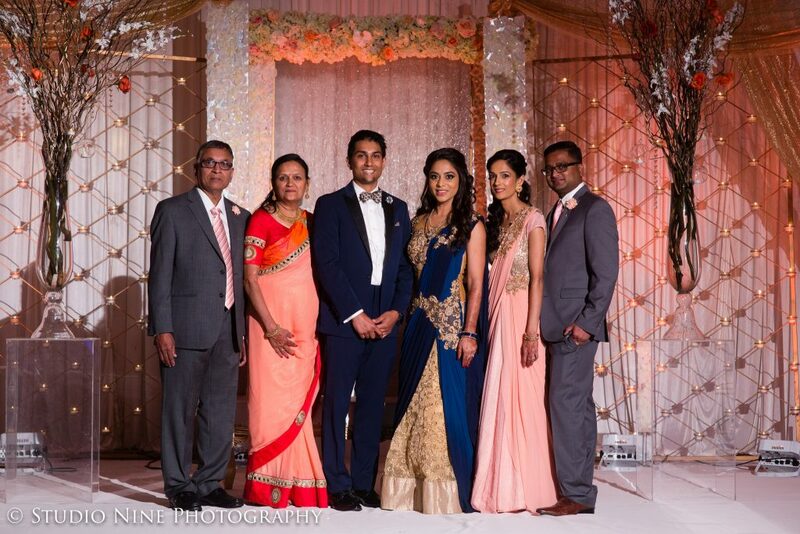 It is therefore important to hire a photographer that understands the nuances of a particular culture and is able to capture the unique elements of the wonderful occasion. 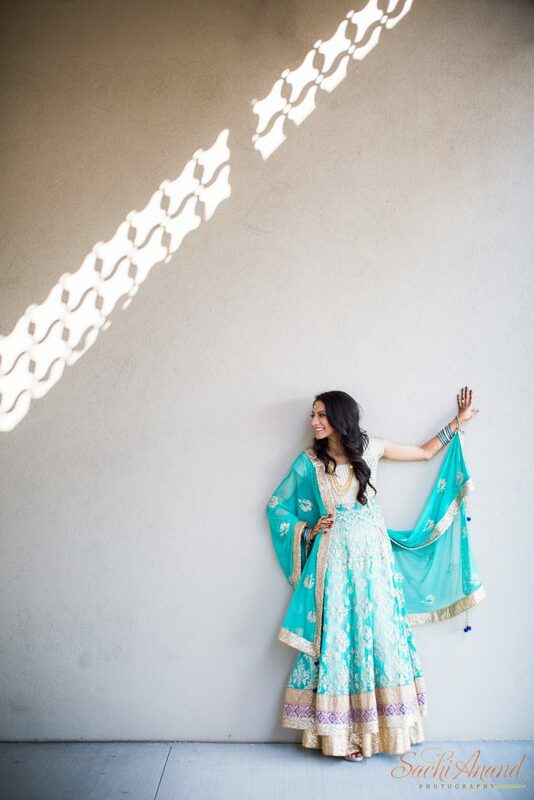 Ali at Studio Fifty Five is an old hat at capturing South Asian Wedding. Having an experience of capturing wedding photographs for nearly a decade, he is uniquely suited to capturing the beauty and uniqueness of every couple and their wedding. Ali has great passion and excitement for covering a couple’s most special day and does not let a single moment or detail go unnoticed. Studio Fifty Five has earned its reputation for a unique style of photography that not only finds new ways to be creative but also employs the best techniques in the field to capture the true essence of photography. They also make use of a state of the art photographic and graphics studio that makes the most of style, creative vision and bold imagery along with powerful lighting techniques to create flawless photographs that are vibrant and lively. The studio aims to bring a smile to the face of all their clients and this dedication is evident throughout their work. I am very excited to be able to share the wedding of Preeti and Niraj by Sachi Anand Photography with you. 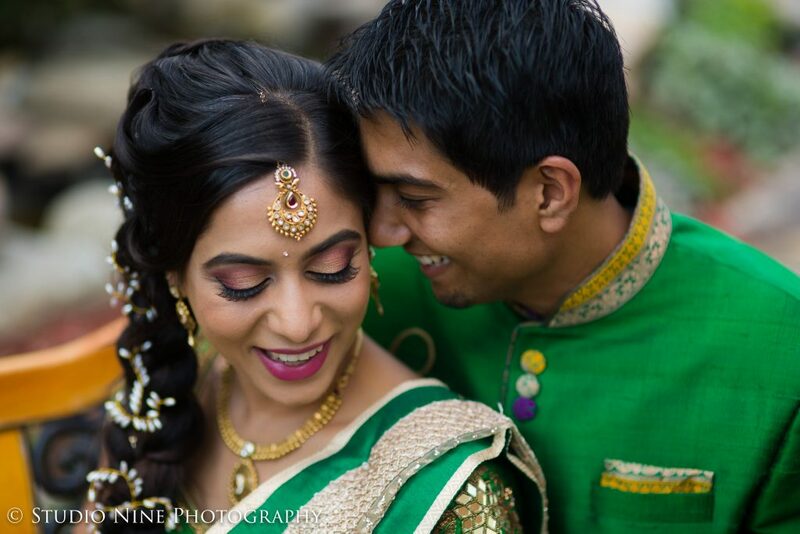 Their wedding was a vibrant and colourful affair surrounded by luscious green gardens that made for a spectacular setting and resulted in some truly gorgeous photos. 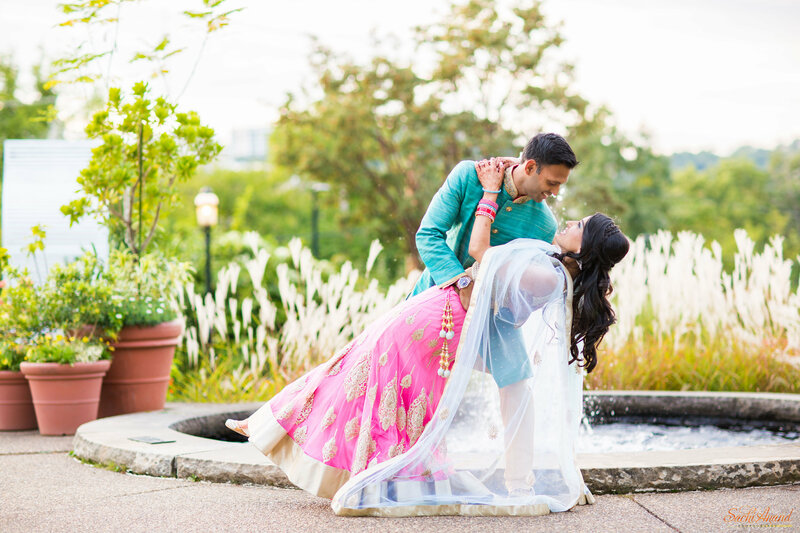 Preeti wore a stunning pink and white lehenga, while Niraj looked dapper in a blue sherwani. 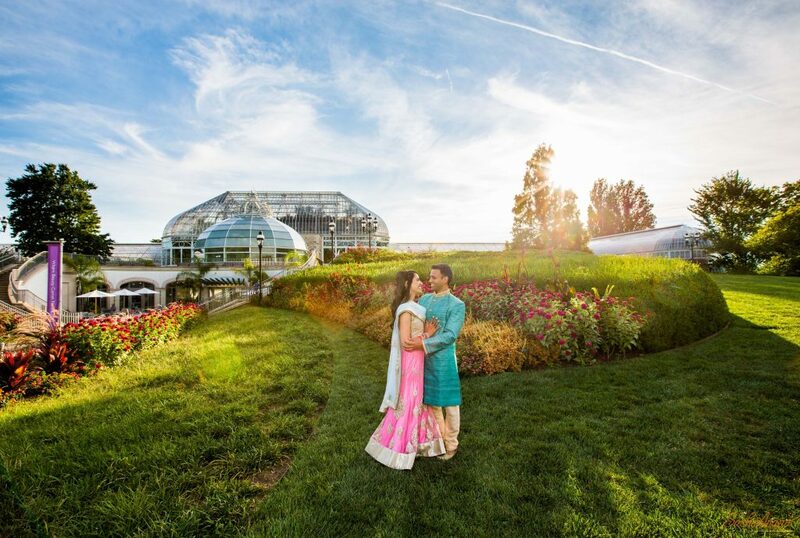 The photos of the happy couple against the colourful flowers in the gardens creates a lovely dreamy aesthetic. 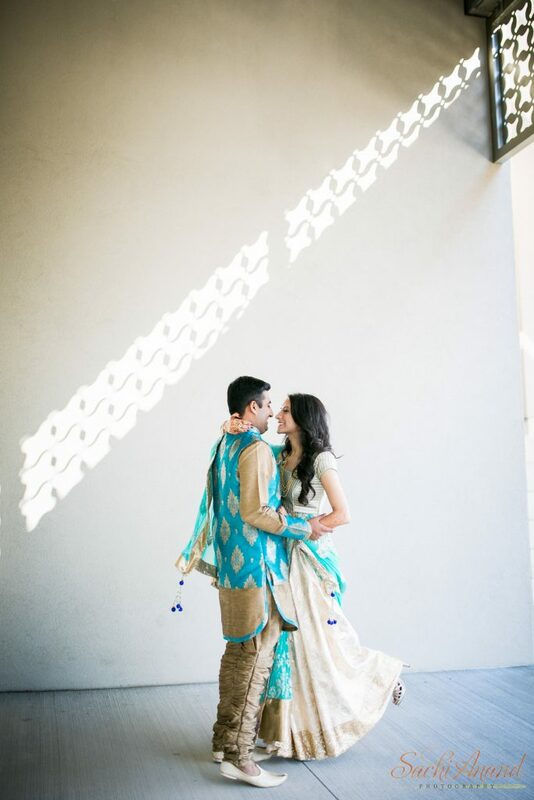 Some artistic photography techniques are employed by Sachi Anand Photography to focus in on the couple and small details in the wedding venue. 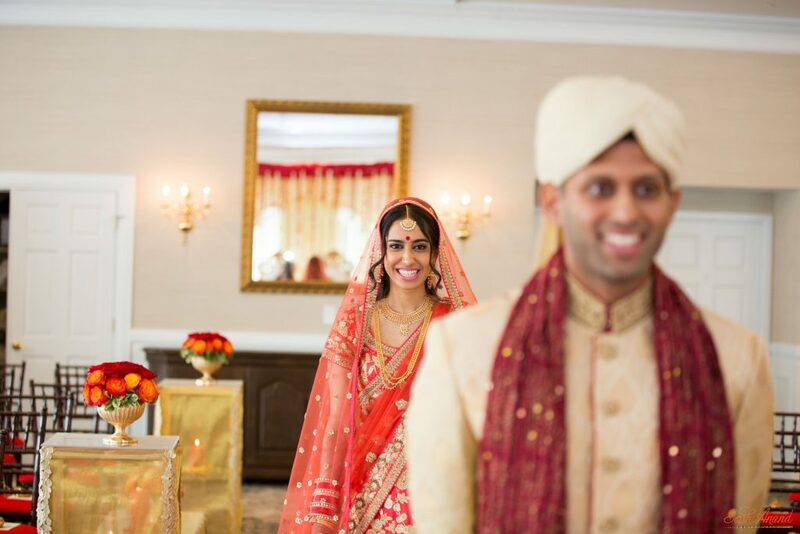 Here are some gorgeous photos from Preeti and Niraj’s Indian wedding ceremony, which were taken by Sachi Anand Photography. The beautiful photos perfectly capture the emotions of the bride, groom and bridesmaid, showcase their beautiful outfits and the room the venue where the ceremony took place. All this is achieved through a mixture of posed and candid photos. 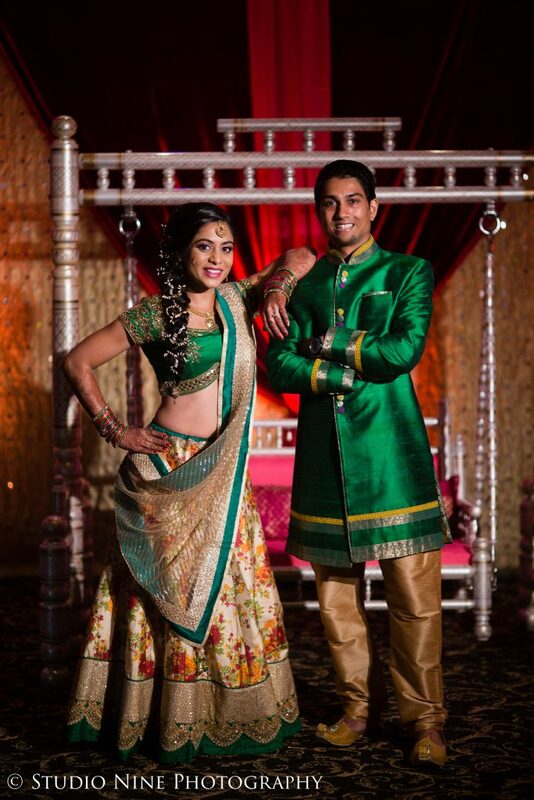 Preeti’s stunning red lehenga is brilliantly coordinated with the venue decor and Niraj’s dark red dupatta unites the happy couple. 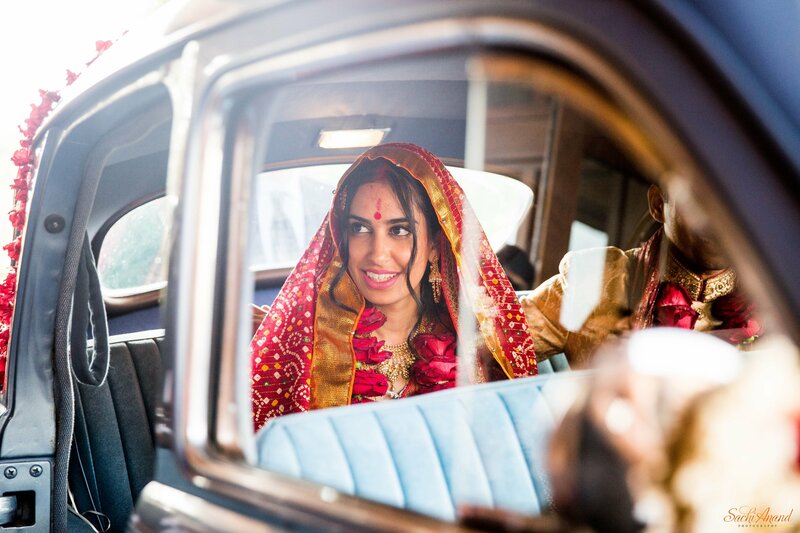 I am a total sucker for those more natural, seemingly private moments, so the shot of Preeti and Niraj in the wedding car that shows Preeti’s wistful and happy expression is a real standout for me. 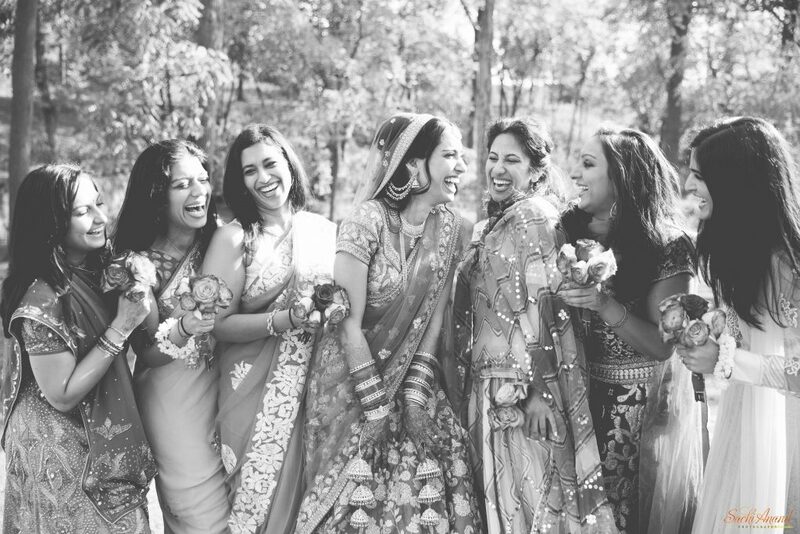 Similarly the photo of Preeti and her brides is absolutely wonderful because the look of joy on all their faces is so contagious. Every bride wants to look her very best on her wedding day. However, with the plethora of Indian bridal looks available to choose from, selecting what works best for you becomes very difficult. This is where makeup professionals come in. A good makeup artist can ensure that a bride looks effortlessly beautiful and positively radiant. 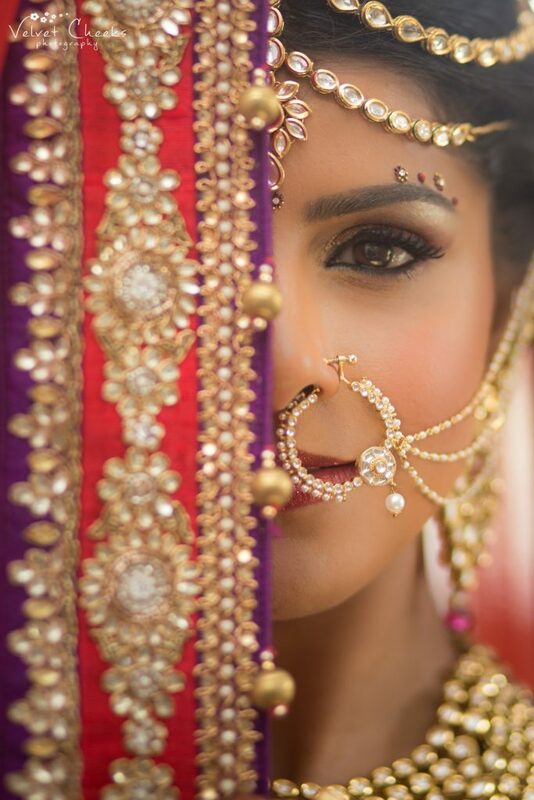 Timsi Malhotra from TM’s Makeup Artistry is one such person who has made it her life’s work to ensure that all brides walk in to their special day with confidence and more beautiful than ever. 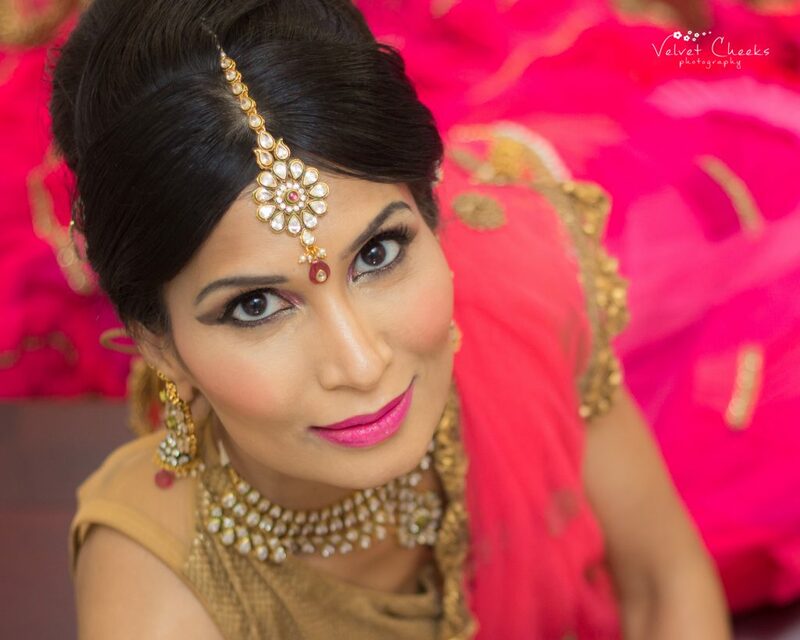 Having worked for the last 9 years as a Makeup & Hair Design Specialist in three different countries, Timsi has a huge amount of experience in the field of bridal makeup. She has multiple professional qualifications and enjoys nothing more that enhancing the looks and features of her clients. 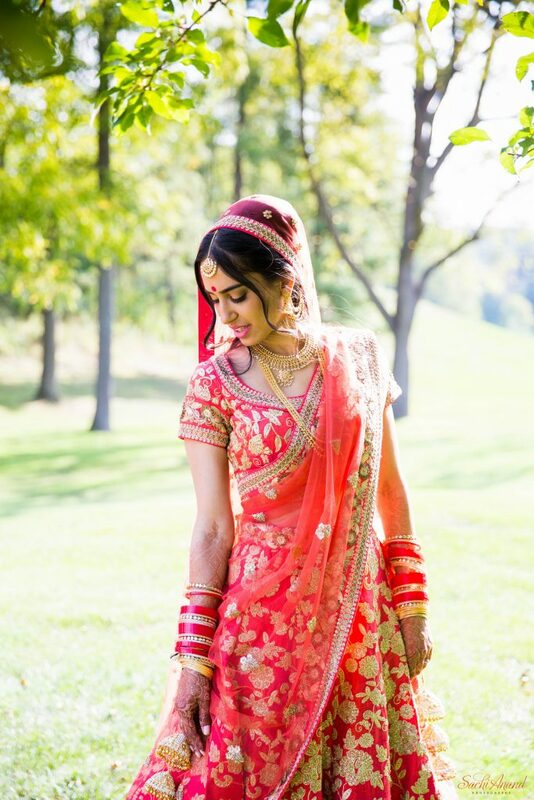 Over the years, she has worked with several beautiful brides, helping to enhance their best features. 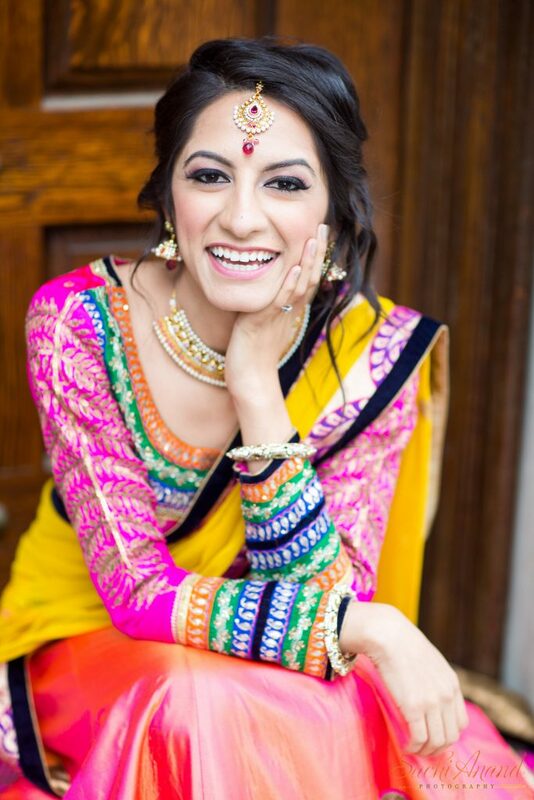 Below are some of the wonderful South Asian bridal looks she has created. This authentic summer bridal look with bold red lips and rose blush is embellished with glitter & gold. Contoured face and false long lashes enhance the features of the bride and complete the look. 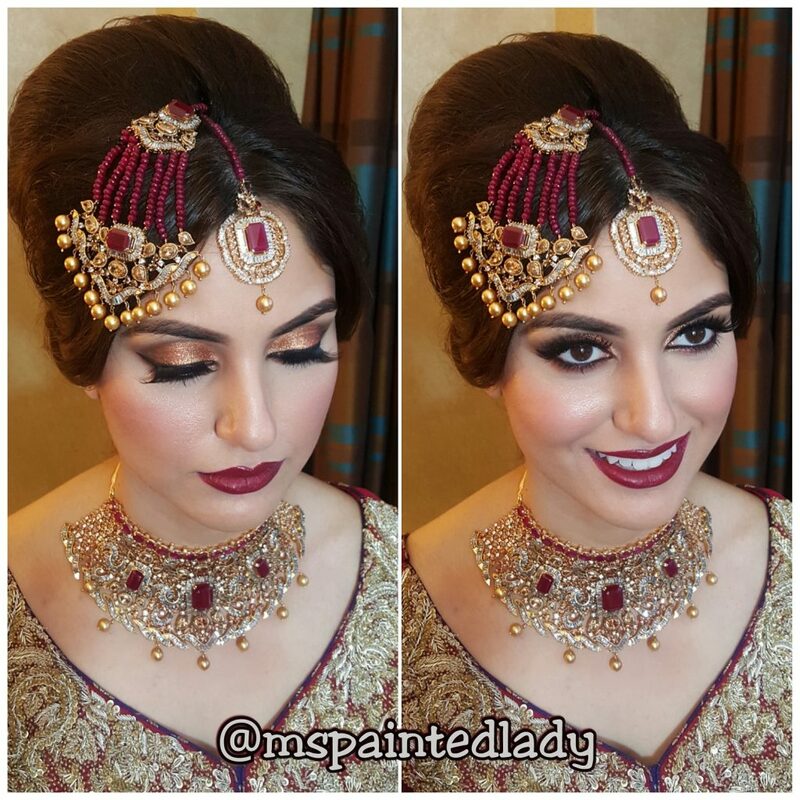 This bold bridal look comes with semi smokey eyes and cherry red lips. A high arched brow and well defined nose add perfection to the look. This close-up view shows an intensely made up eye with glitter and gold and green shades. This look might work perfectly for henna night depending on the personal taste of the bride! Another beautiful look with enhanced eyes, the high bouffant adds a great creative dimension to the look. 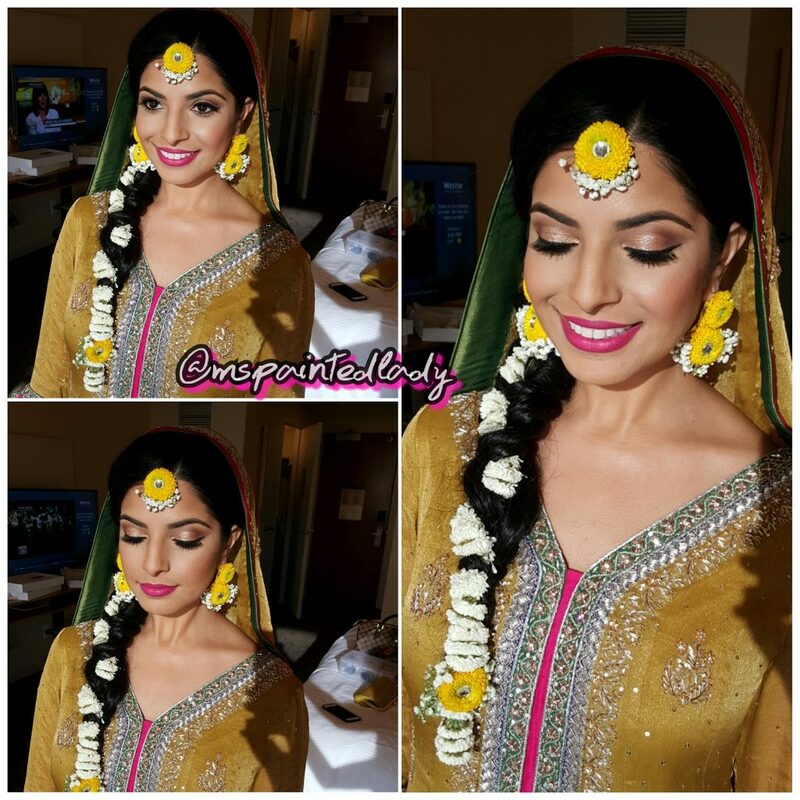 This royal bridal look with soft smoked eyes and bright pink lips looks splendid. Paired with a classy twist on an updo, this elegant look is perfect for the stylish bride. 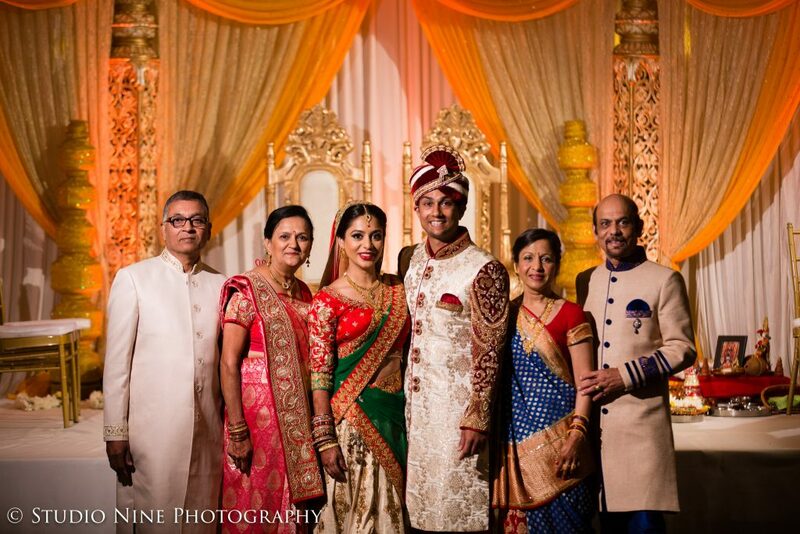 One of the most important events in a person’s life, a wedding lays the foundation of the family building process. 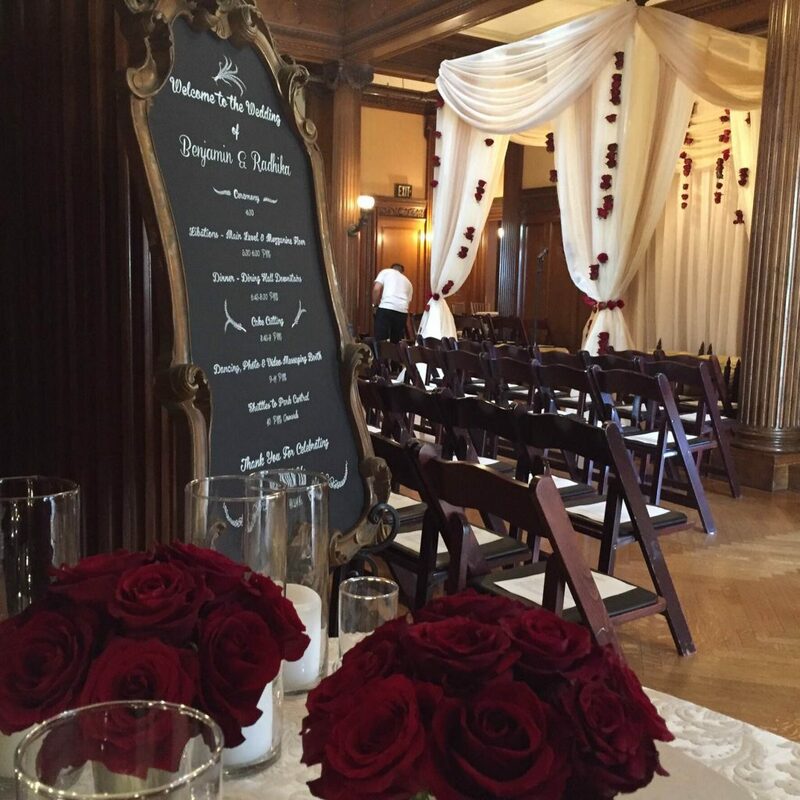 Owing to its importance, weddings are generally grand and extravagant affairs. 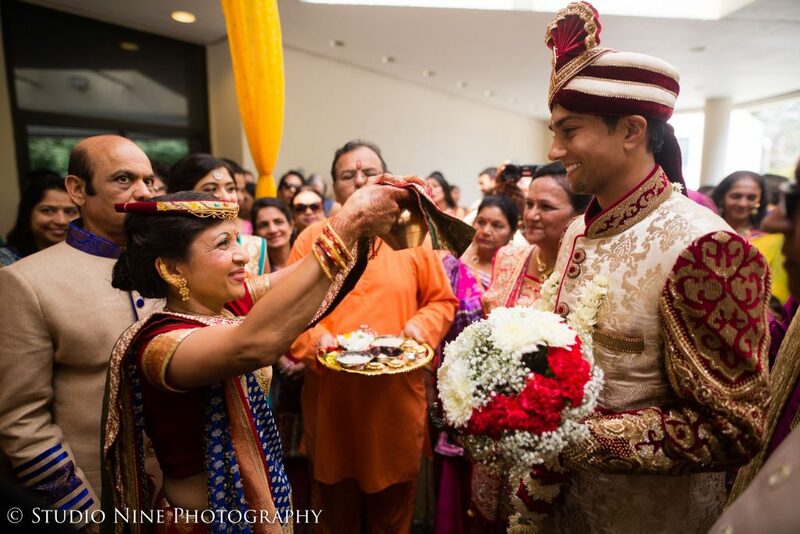 Asian weddings in particular are very traditional with lots of rituals and customs that go along with it. 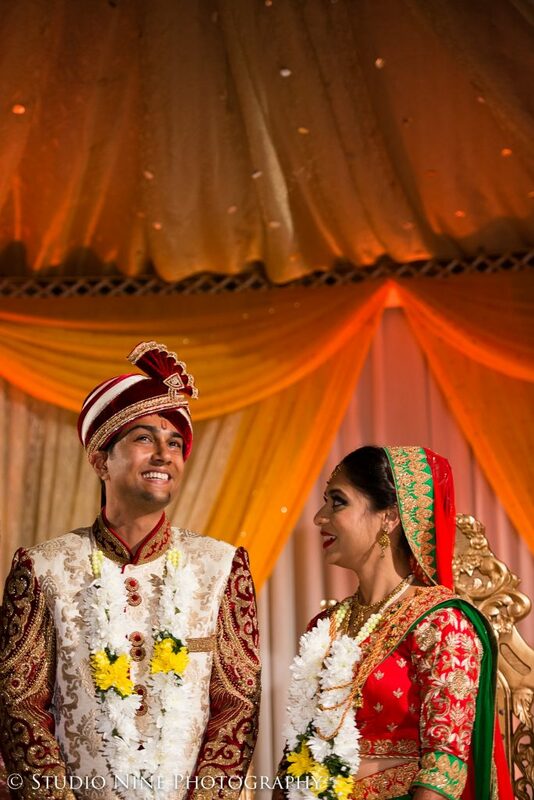 Being the symbol of commitment to one’s partner, wedding days are certainly special and are cherished for a lifetime. To make these memories extra special and unforgettable, wedding photography is a must have for the occasion. 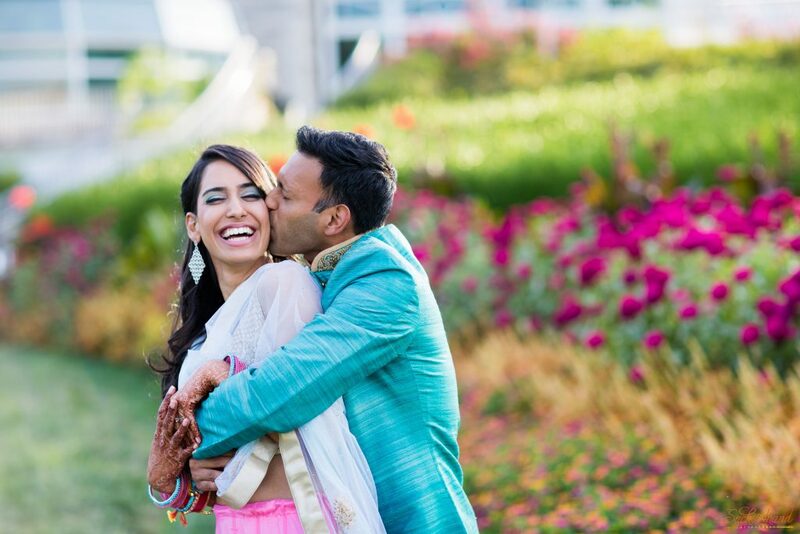 Wedding photographs makes for a beautiful reminder of the wonderful day in a couple’s life. 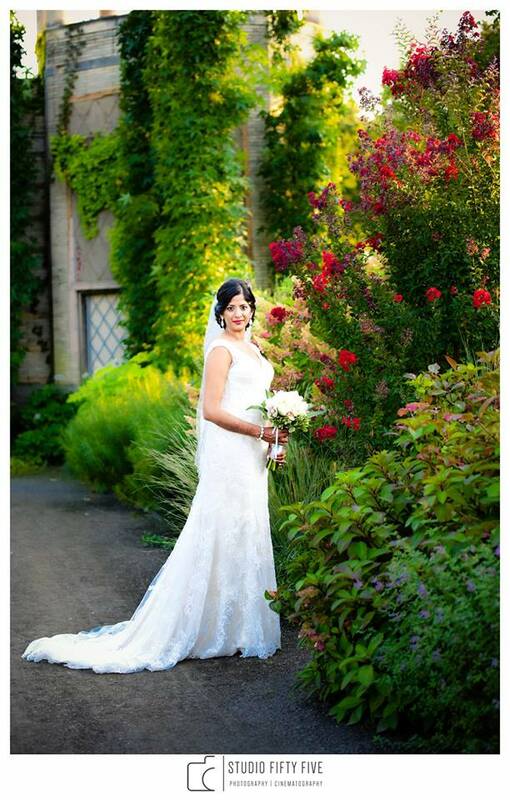 It is therefore important to choose one’s wedding photographer wisely and with great thought. 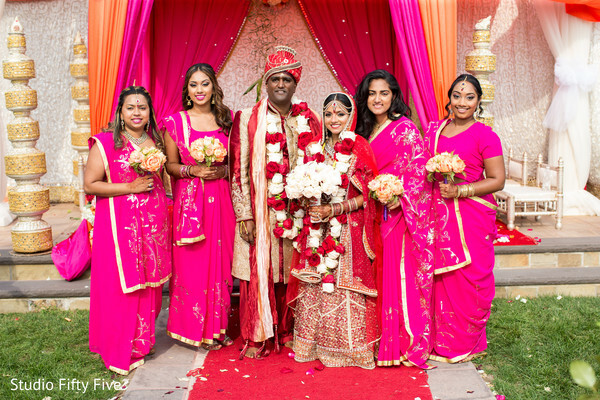 Studio Nine is one company that has great experience in the coverage of a wedding ceremony, particularly Asian weddings. 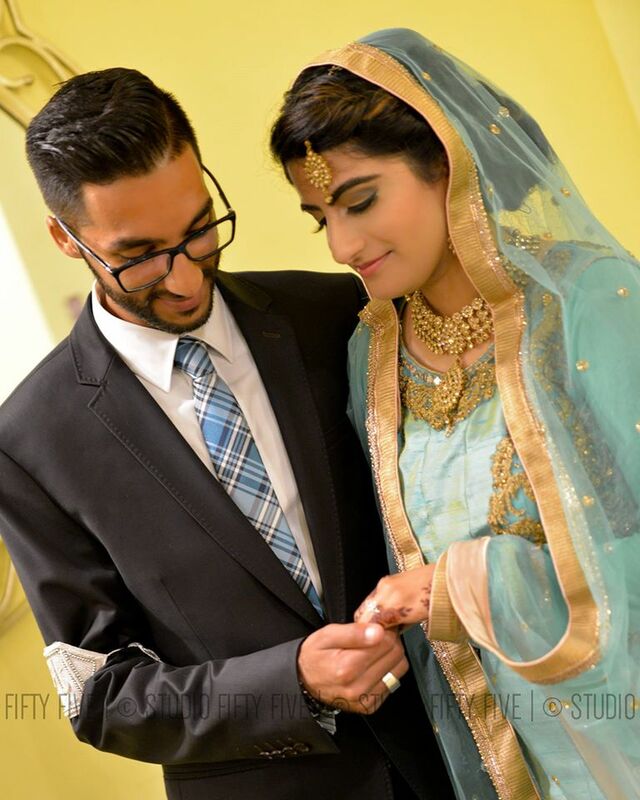 A master at capturing wedding ceremonies, Studio Nine has worked with the best wedding planners around the world to capture the best wedding photos. Studio Nine Photography and Cinematography has talented artists such as Zach Blum and Ryan Young and the company is flourishing in the field of wedding photography. For Zach, there is no greater thrill than capturing one of the most special days of a person’s life and making it everlasting. Aside from being an accomplished photographer, Zach also moonlights as the studio’s production manger. 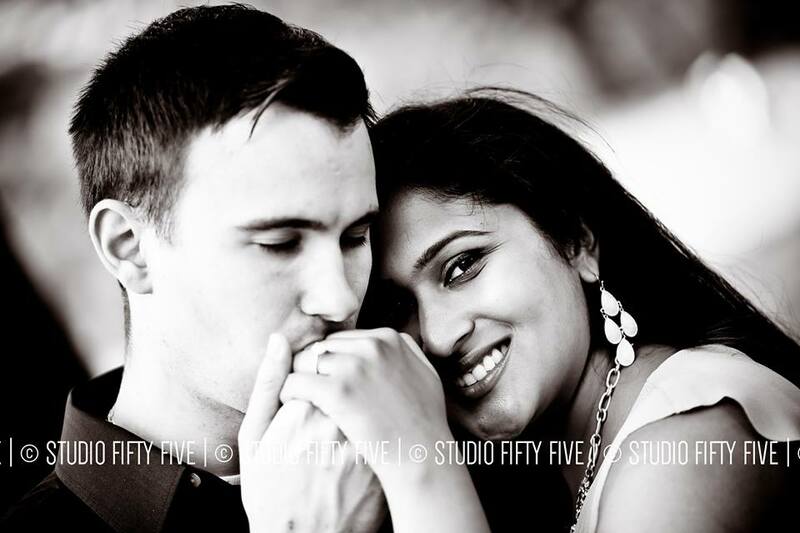 As for Ryan who has been with Studio Nine for the last two years, he is not only an experienced travel photographer but also brings his unique talent of emotional imagery to the table. 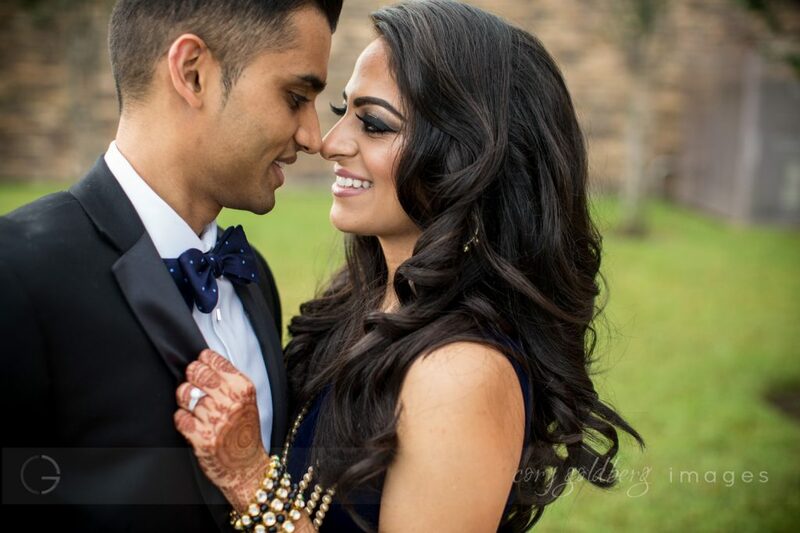 It can be rightfully said that Studio Nine is a master at photography of Asian weddings and are a big hit with Asian brides and grooms! 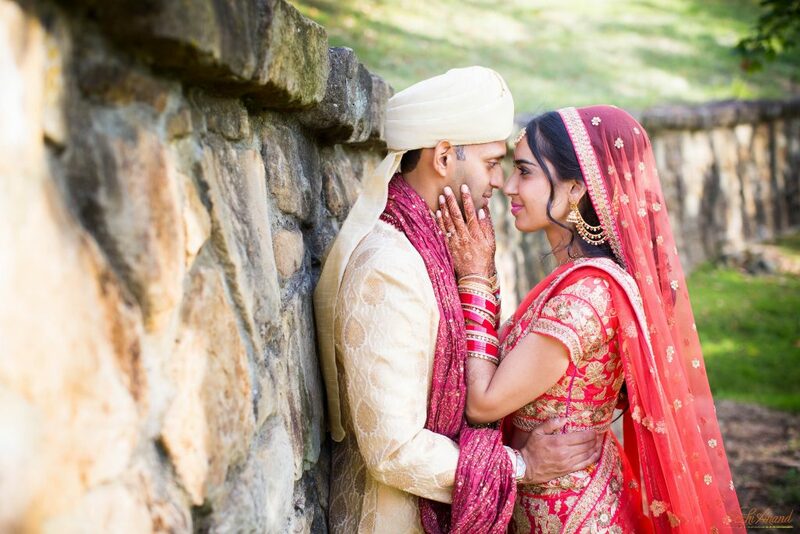 While it is lovely to have photos of your Indian wedding, your Indian wedding events and of all your friends and family in attendance, you do of course want good quality photos of you and your significant other. 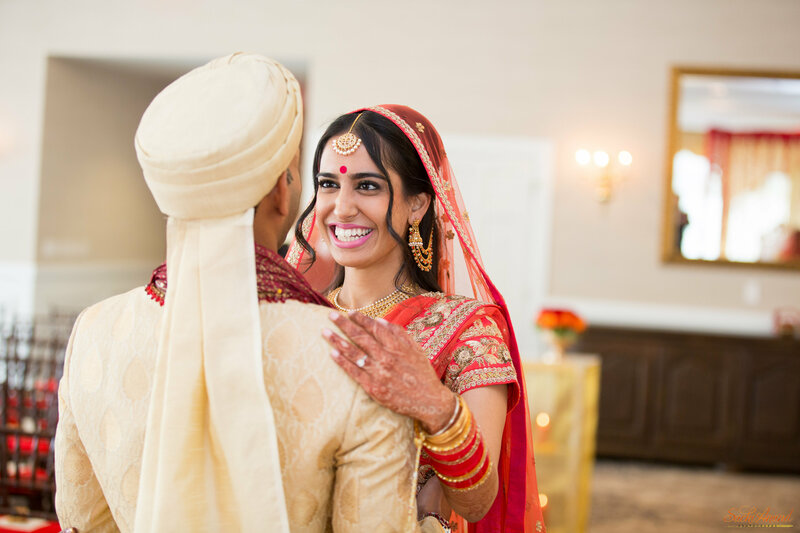 Indian wedding photographers do always make time for this, by slotting in a few through your celebrations, it can be tricky to really get the two of you on your own long enough to get those all important shots. 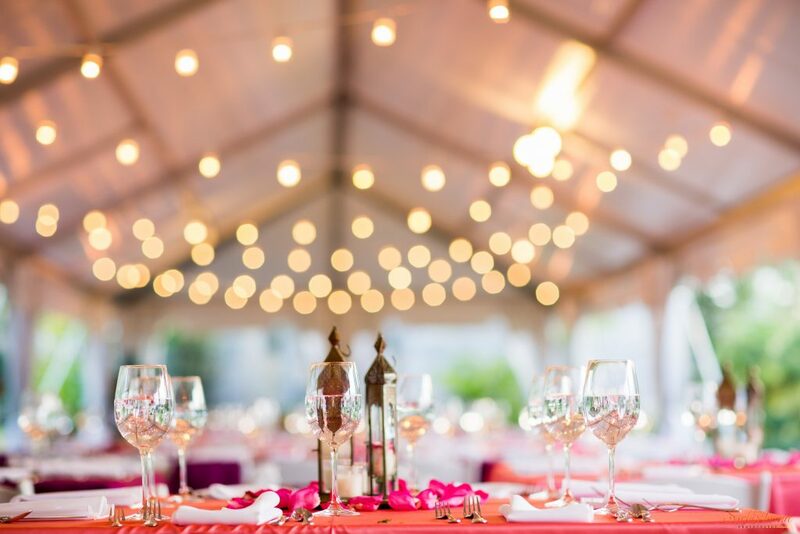 In addition, you of course do not want to miss out on any of the action because you’ve been outside having a photoshoot, while your friends and family are inside laughing and dancing the night away. To get around this problem, many couples decide to have pre or post wedding photoshoots so that you have the flexibility to go round to different locations to find the best settings and range of poses that look both natural and cinematic. The best thing about a private Indian wedding photoshoot away from the wedding festivities is that plenty of time can be taken to experiment, find the best angles and get a variety of shots that you can then sit down and pick through to get your favourite. This practice also means that a weight is lifted because on your wedding day you are not so worried about getting the perfect shot of you and your significant other, but can instead enjoy yourself and the Indian wedding photographer can focus on getting those candid shots which depict the atmosphere of your wedding. 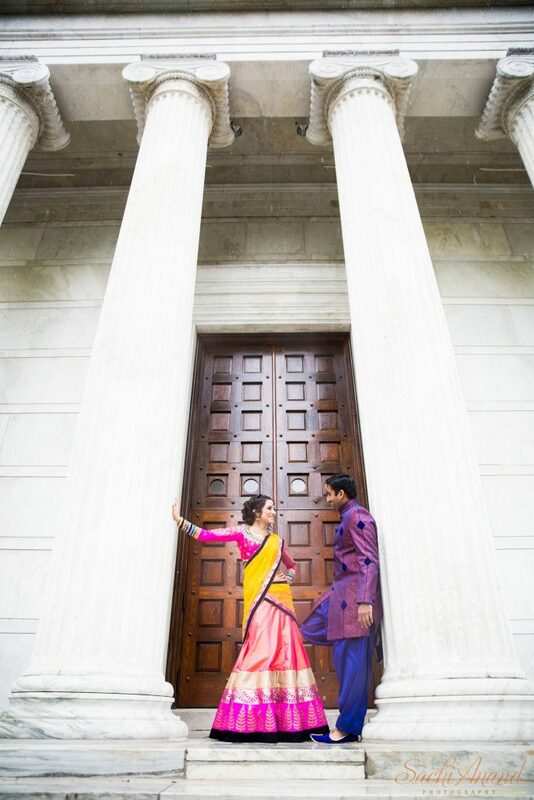 Another great thing about a pre and post Indian wedding photoshoot is that it gives you a great excuse to get dressed up in all your finery and so allows you to recycle your wonderful outfits. 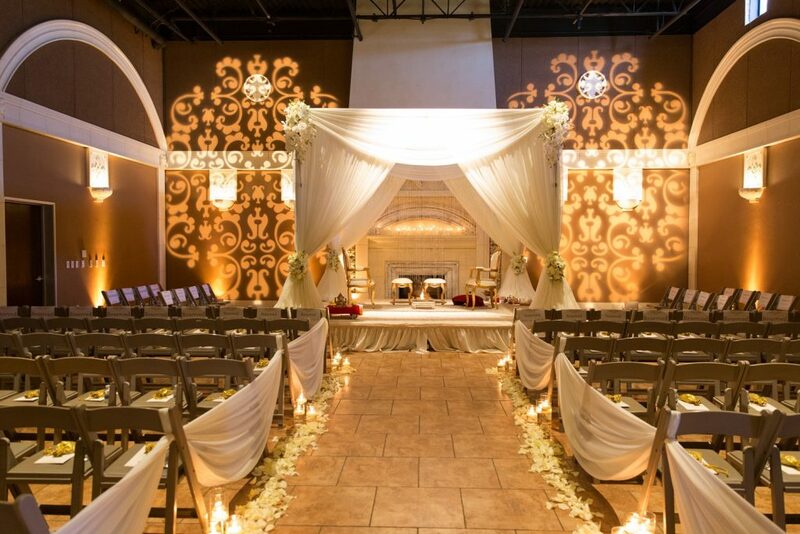 Once you have found your perfect Asian wedding venue(s), you can then start to plan how to make it your own. How you separate your wedding from the 100s of other weddings being held at that venue over the year is through your Asian wedding decor, so it is important to think carefully about what you want. 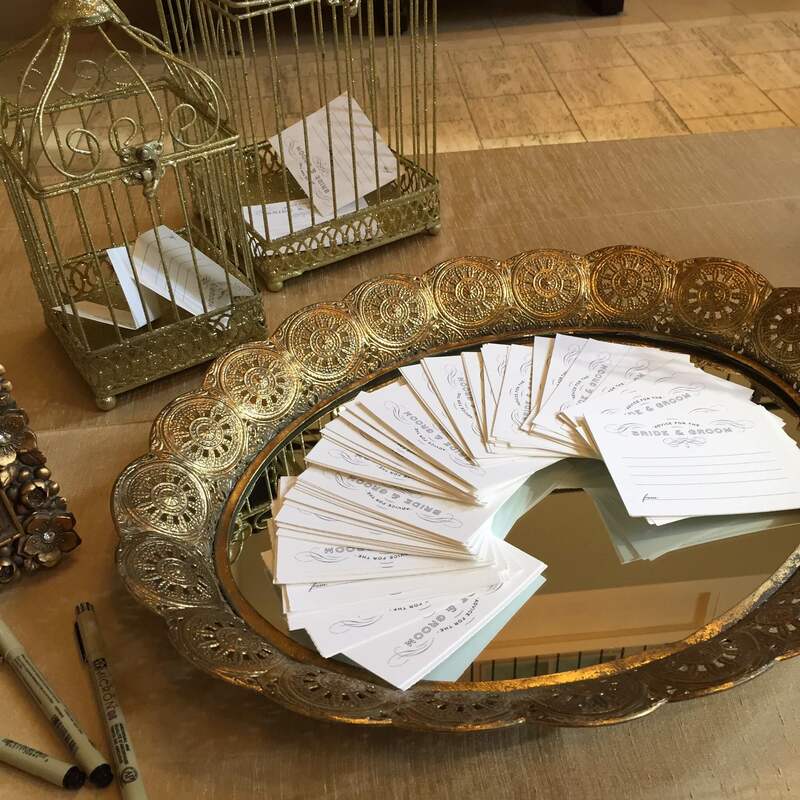 If you have been dreaming about your wedding since you were little, then it is safe to assume that you have a pretty good idea of what you want. 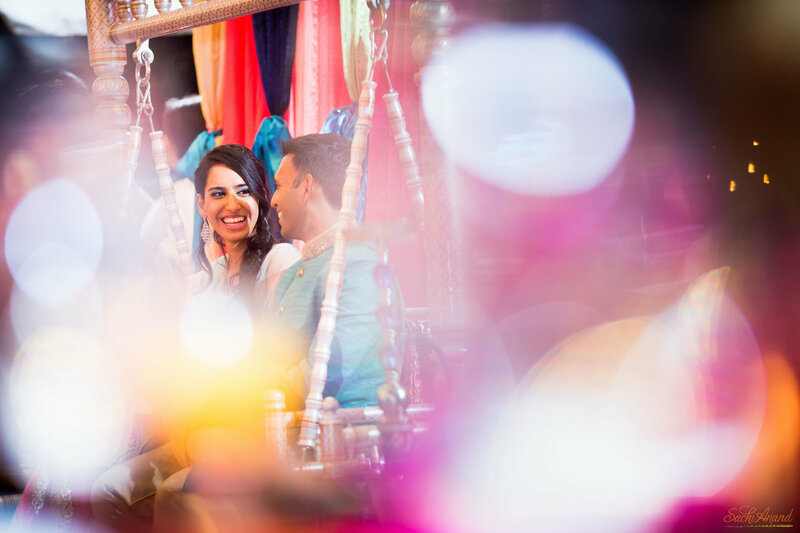 Of course though, when it comes to an Asian wedding, you don’t just have the wedding ceremony and reception to think about, you also have the sangeet, mehendi and haldi. 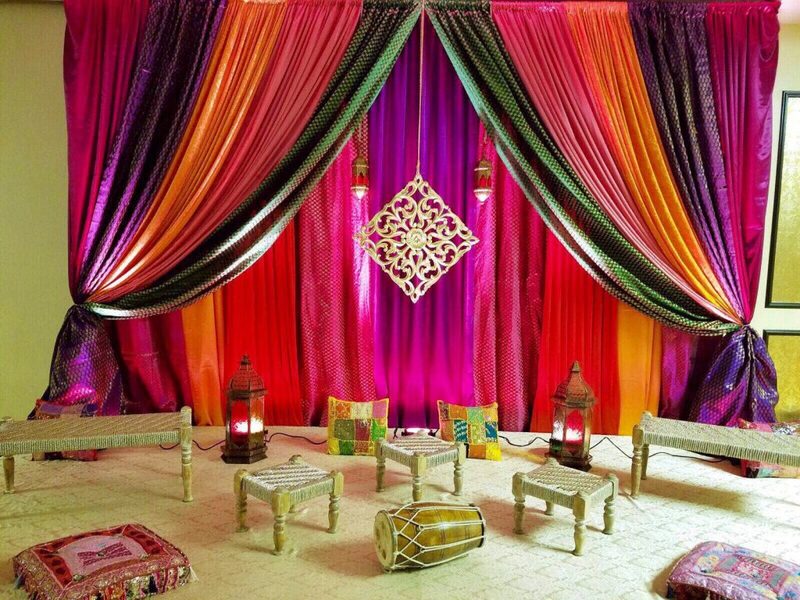 Therefore, as with so many parts of organising a big fat Asian wedding, it can be extremely useful to look through photos to give you an idea of the sort of thing you like and feel you would like to create at each of your wedding events. 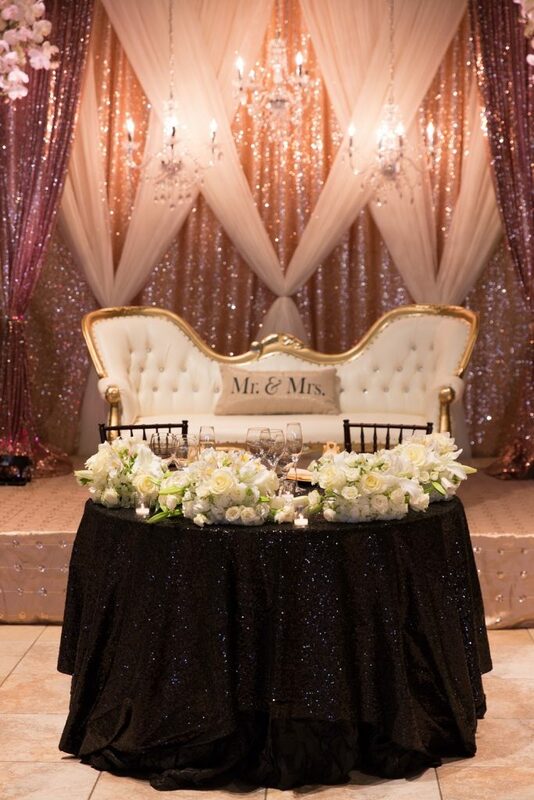 Additionally, being able to speak to event planners and decor specialists can make the world of difference, and can help transform your dream wedding into reality. As the saying goes, the devil is in the details and no detail is too big or small when it comes to your big fat Asian wedding. 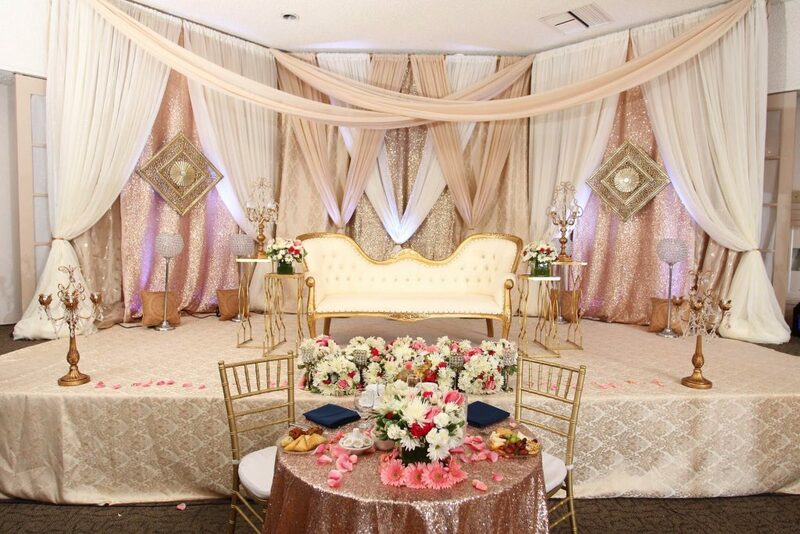 Whether you know exactly what you’re looking for or have absolutely no idea, don’t panic – being able to choose your Asian wedding venue decor, either with the help of a specialist company like Raman and Raveen or by sitting down with your spouse and browsing through hundreds of photos – is one of the best parts of planning a wedding.